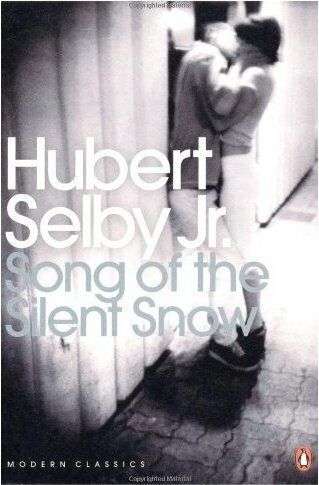 SONG OF THE SILENT SNOW is a 1986 short story collection by Hubert Selby, the author of LAST EXIT TO BROOKLYN, a few stories in and I find the collection both bittersweet and endearing, with a lovely use of language and longing. Recommended. ROBERT S. DUNCANSON: 19th Century Black Romantic Painter. Washington, DC: Associated Publishers, Inc., A Division of the Association For The Study of Afro-American Life and History, Inc., 1980.
x, 60 pp., 25 b&w illus., chronol., catalogue of works. Appendices include letters from Duncanson and note from Mrs. Ruth E. Showes, “A Relative”; letter concerning Duncanson’s illness from his wife Phoebe. 8vo (24 cm. ), cloth. 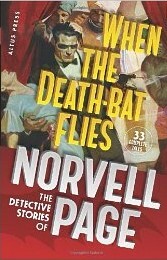 When the Death-Bat Flies: The Detective Stories of Norvell Page- Best known for his Spider pulp stories, scribe Norvell Page was a master mystery writer as well. This 800-page book collects over 30 of Page’s detective stories from the pages of DETECTIVE TALES, THE SPIDER, DETECTIVE FICTION WEEKLY and STRANGE DETECTIVE MYSTERIES, most of which have never been reprinted before. 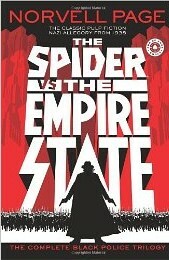 Includes an all-new introduction by Will Murray. 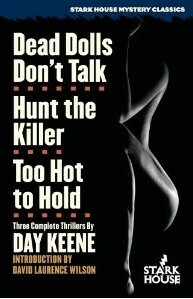 Three short thrillers that offer variations on the theme of the innocent person caught up in murderous events. Dead Dolls Don t Talk (1959) allows a juror to find out what it s like to be on the other side of the law. Hunt the Killer (1951) is the story of a man just out from prison who is newly framed for a killing he didn t commit. And Too Hot to Hold (1959) is a case of mistaken identity that escalates when greed takes the place of common sense. 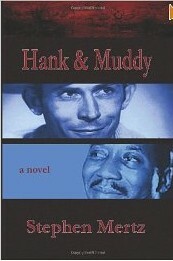 In steamy Shreveport, Louisiana, two musical legends-in-the-making come together: a whiskey-soaked country singer named Hank Williams and blues artist Muddy Waters. What they’ve got in common over several hectic days of drinking, singing and whoring is an interest in staying alive despite local mobsters, bent cops, and a truckload of Ku Klux Klansmen. Then there’s the bankrobber’s daughter. 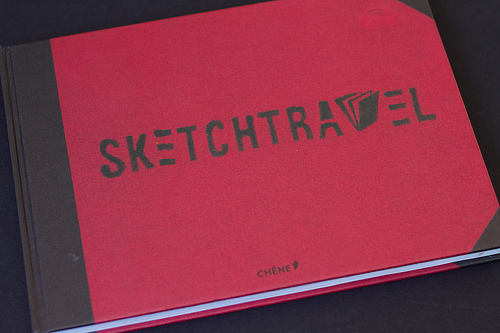 The Sketchtravel is a unique international charity art project. This red sketchbook was passed from one artist’s hand to another like an Olympic torch in an artistic relay through 12 countries over 4 and half years. A total of 71 artists, over the course of 4.5 years, contributed to this traveling museum, including Bill Plympton, Enrico Casarosa, John Howe, James Jean, Scott Campbell, Dice Tsutsumi, Peter de Seve, character designers Carter Goodrick and Nicolas Marlet, veteran animators like Glean Keane and even Koji Morimoto and Hayao Miyazaki. Can you say “an easy and essential purchase at the price”? Something of a one of a kind collectible. It’s Frazetta, and it’s an artbook. What more do you need? John Buscema has been called one of the finest comic artists who ever put pen to paper. His work for Marvel Comics on The Avengers, Thor, The Fantastic Four, and Silver Surfer are all classics, highly regarded by fans from around the world. The same is true for his definitive rendition of Conan the Barbarian – Buscema breathed life into Robert E. Howard’s legendary creation in a manner that has rarely been rivaled. IDW is proud to announce the first American publication of John Buscema: Comics & Drawings, a special edition of the fine art catalog created for the most extensive exhibition of Buscema’s art ever staged. 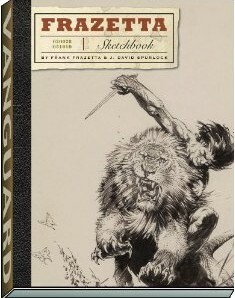 Weighing in at nearly 300-pages, this gorgeous hardcover book is a dream come true for fans of the visual mastery of John Buscema, an artist who’s ilk we are unlikely to see again. Visionary filmmaker Ridley Scott returns to the genre he helped define, creating an original science fiction epic set in the most dangerous corners of the universe. The movie takes a team of scientists and explorers on a thrilling journey that will test their physical and mental limits and strand them on a distant world, where they will discover the answers to our most profound questions and to life’s ultimate mystery. 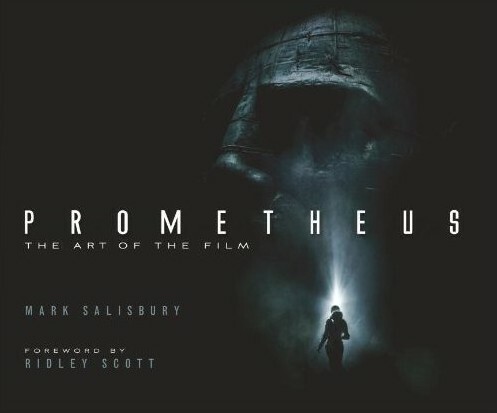 With an introduction by Scott himself, this lavish book will be the only publication to accompany Prometheus. Stunning production art and behind the scenes photos will grant the reader a window on the process of creating this astounding new epic. I’m not really a fan of movie art books. In fact I own a grand total of zero, but I am quite impressed by the visuals on this film. Enough to make this art-book a definite possibility. Dean Mullaney and Bruce Canwell continue their comprehensive review of the life and art of Alex Toth in Genius, Illustrated. Covering the years from the 1960s to Toth”s poignant death in 2006, this oversized 9.5″ v 13″ book features artwork and complete stories from Toth”s latter-day work at Warren, DC Comics, Red Circle, Marvel, and his own creator-owned properties, plus samples of his animation work for Hanna-Barbera, Ruby-Spears, and others, as well as sketchbook pages, doodles, advertising art, and other rarities provided through the cooperation of Toth”s family and his legion of fans. Two of Toth”s best stories are reproduced complete from the original artwork: “Burma Skies” and “White Devil… Yellow Devil.” A full-length text biography will chart the path from Toth”s increasingly-reclusive lifestyle to his touching re-connection to the world in his final years. 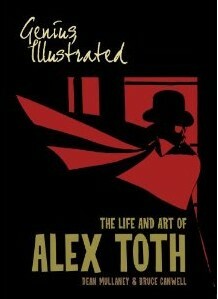 Fans of comics, cartoons, and all-around great artwork revere Alex Toth. See why Genius, Illustrated – along with its companion volume, 2011”s Genius, Isolated – are being praised as the definitive examination of the life and art of The Master, Alex Toth. 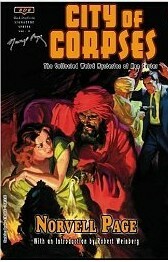 Volume 2 of a definitive three-volume series. 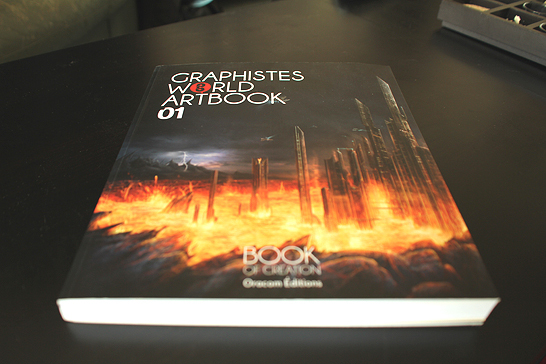 Graphistes World Artbook 01- This artbook (223 pages) edited by Oracom Editions is a fine selection of francophones digital artists! The book is available in a lot of bookstores and of course on line via Amazon or FNAC. This is a really handsome object full of inspirations and talented artists. French language book.